A tender comedy tinged with the absurdity of life, the thrill of sociability, and the imminence of death, which I guess is exactly the kind of book I like. 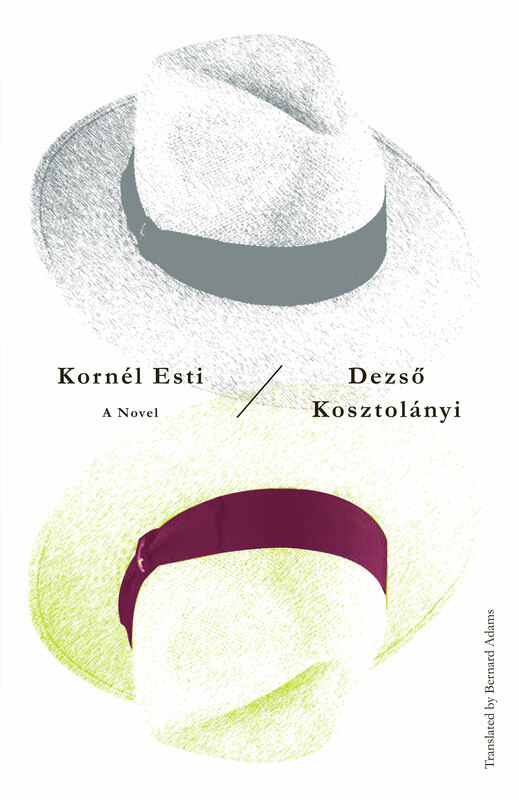 A great masterpiece never before available in English, Kornél Esti is the wild final book by a Hungarian genius. Crazy, funny and gorgeously dark, Kornél Esti sets into rollicking action a series of adventures about a man and his wicked doppelgänger, who breathes every forbidden idea of his childhood into his ear, and then reappears decades later. Part Gogol, part Chekhov, and all brilliance, Kosztolányi’s final book serves up his most magical, radical, and intoxicating work. Here is a novel which inquires: What if your id (loyally keeping your name) decides to strike out on its own, cuts a disreputable swatch through the world, and then sends home to you all its unpaid bills and ruined maidens? And then: What if you and your alter ego decide to write a book together? Dezső Kosztolányi was a Hungarian prose writer and poet. [Bernard Adams] maintains the clipped, sonorous rhythms of Kosztalányi’s prose while matching its comic wit stride for stride. Kosztolányi was a ringleader in the 20th-century flowering of Hungarian literature, a poet who reformed the language, and a fiction writer of world class.